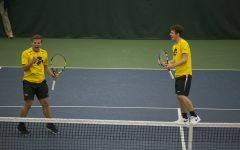 The Hawkeyes look to the successes and failures of their first Big Ten matches to higher their level of play on the road. Brie Orr sets the ball during Iowa's match against Eastern Illinois on Sunday, Sept. 9, 2018 at Carver-Hawkeye Arena. 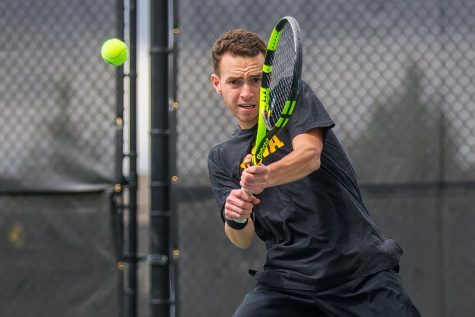 The Hawkeyes won the match 3-0. Iowa volleyball will continue Big Ten play this weekend with road matches against Northwestern and No. 7 Illinois. 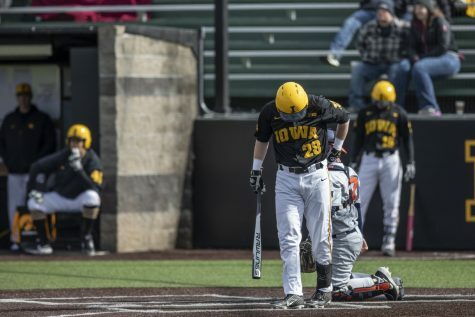 Iowa will begin the road trip with a visit to Champaign today to face a squad that has proved to be very tough this season. The Illini are coming off a strong weekend to open Big Ten play, beating No. 16 Purdue and Indiana. The Illini are among the top squads in the Big Ten in many offensive areas, including third in assists per set and kills per set. 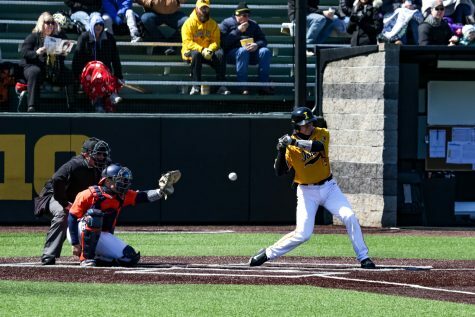 Because the Hawkeyes face a tough foe in the Illini and will experience a long weekend road trip, they are paying special attention to scouting and tapes. They feel implementing scouting reports was a weak part in their Sunday loss to Michigan. 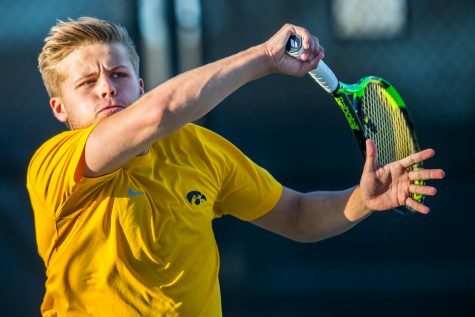 Aggressiveness will be important for the Hawkeyes in their tough match against the Illini. The squad has struggled against kills this season, ranking 11th in the Big Ten in digs per set. However, it has proven very gritty with its middle players. Illini senior Ali Bastianali is among the top in the Big Ten in blocks per set, ranking third with 1.54. The Hawkeyes will have to be aggressive at the net to meet the toughness of the Illini experience in the middle. 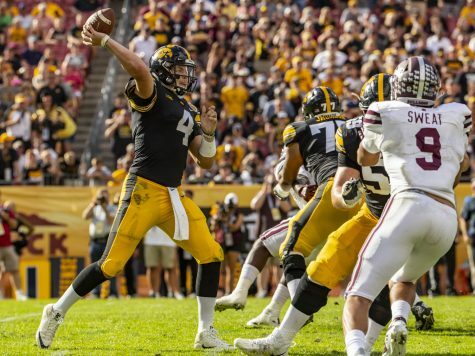 The Hawkeye squad will continue the trip in Evanston against the Wildcats on Sept. 30. 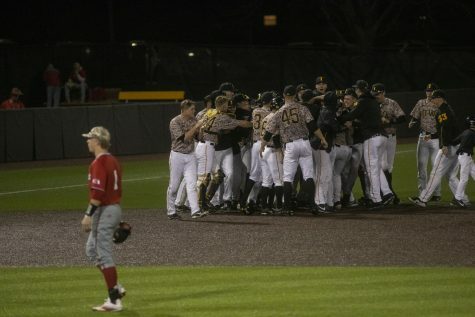 The Wildcats sport a record of 10-4. 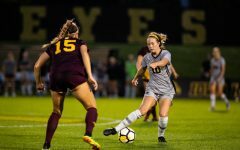 They are winless in Big Ten play, having lost their first matches to Indiana and No. 16 Purdue. Statistically, Northwestern is largely in the middle of the Big Ten in all facets of play. 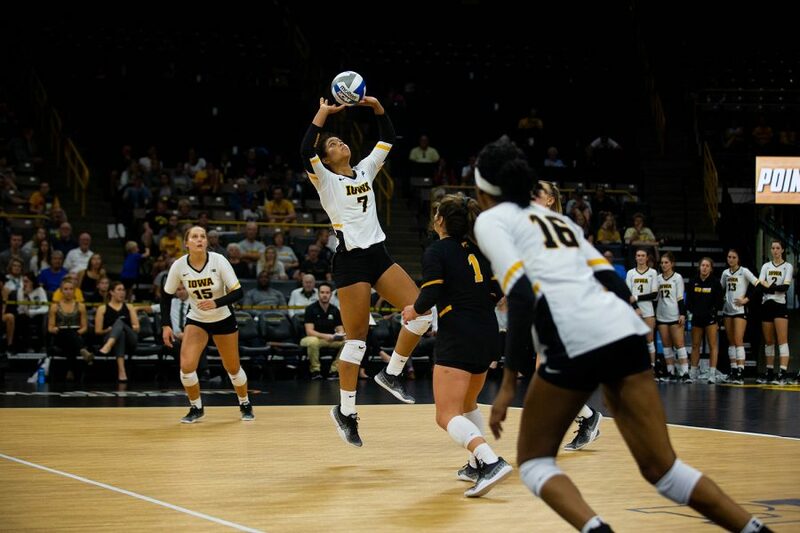 Sophomore outside hitter Nia Robinson will pose a threat to the Hawkeyes; she has posted 4.14 kills per set thus far in the season, good enough to put her at fourth in the conference. 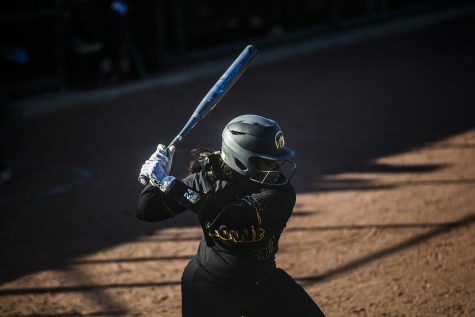 Tough, aggressive play from Iowa’s talented hitters will be important to head coach Bond Shymansky. 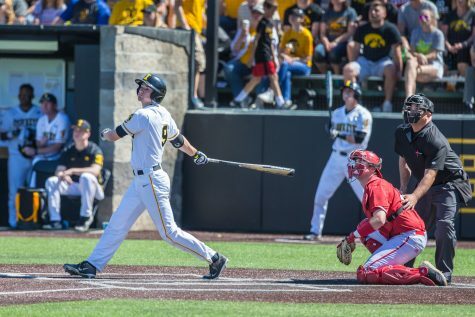 Road play has been fairly strong for the Hawkeyes this season. The squad is 7-3 on courts that are not named Carver-Hawkeye, and the traits they have shown on road games will prove valuable as the season goes on. 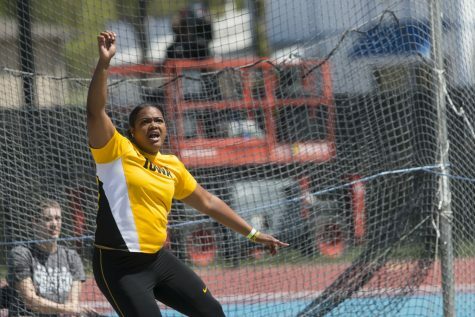 While it experienced a tough loss last weekend to Michigan, Iowa also saw glimpses of greatness in its win over Michigan State. 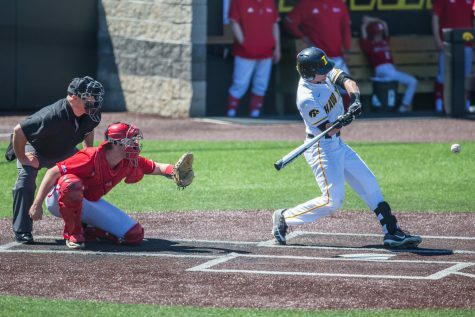 The Hawkeyes have proved they can compete with the best in the country, and they will try to demonstrate that on the road.